No sooner have I finished moaning to the Americans about how the Daily Mail has been distorting the news agenda with its politically driven reefer madness and drug war scaremongering, than said paper go and run a straight pro-legalisation/regulation op-ed by Andrew Alexander, titled 'the seriously inconvenient truth on drugs. It's almost alarmingly sensible stuff. "..applause by the zealous and high-minded for a drugs crackdown is quite drowned out by the noisy cheers from another quarter - the drugs suppliers; in particular, the obscenely wealthy drugs barons of South America. Their wealth and power is wholly dependent on drugs being illegal. This is why drugs will have to be legalised at some time - but controlled like tobacco and appropriately taxed. Prohibition was the biggest single boost to gangsterism the U.S. ever experienced. With huge sums at their disposal, the bootleggers corrupted the police, the courts, the judiciary and politicians. No one was keener on Prohibition then, or the criminalisation of drugs now, than the mafia." This is great stuff to see in the Mail, but it would be stretch to claim I'm consumed with remorse. Nor do I think that Paul Dacre has stumbled across some Transform leaflets and had a Damascene conversion to pragmatic drug law reform. Whilst the Daily Mail does run such positions intermittently (for example, Bruce Anderson, and Eddie Ellison and going further back, op-eds from long time reform advocate, Paul Flynn MP), and even occasionally a moderately engaging editorial, these are far and few between and they are significantly outgunned by regular pro drug war, anti-legalisation polemics from (lefty turned reactionary-right) commentators Peter Hitchens and Melanie Phillips, along with occasional efforts from others, including the utterly vile rantings of Richard Littlejohn. More significantly, however, it is their news coverage that really pushes an overtly punitive drug war agenda, manifesting in classic moral panic and scaremongering coverage, supported by bad science and emotive anecdote (see for example here , here, here and here). I suggest the editorial slant has two primary motivations. Firstly, a deep seated fear of, and loathing for the 'otherness' of illegal drugs (they aren't 'our' drugs) and those who use them (the 'hippies' 'junkies', and 'pot-heads'), that can probably be traced back to the culture wars in the 60's and the Mail's romantic vision of Britain's glorious lost post-war heyday. A generic concept of 'drugs' as an unquestioned social menace, or 'evil', has evolved, and this generalised concept has become a convenient scapegoat for all the ills of modern urban youth, rather than drug misuse (the concept of 'use' is not one the Mail can grasp with those 'other' drugs) being seen as a symptom of a wider underlying social, economic and cultural malaise. Their response is invariably a call for punitive responses, longer sentences, securing our borders, building more prisons or similar knee jerk crackdowns that have a gut level appeal to their middle-England readership but no actual basis in the reality of evidence based policy making. The second reason is because the Mail has spotted a golden opportunity to attack a Government it dislikes and, either deliberately or by default, support the Tory's who they now appear to endorse (after a brief flirtation with New Labour in the 90's). Any bad things that happen - that are in any way related to drugs, however tangentially - can now be blamed on the Government's weakness, their 'sending out the wrong message', or their being 'soft' on drugs, druggies, junkies or 'drug dealing scum' (not including tobacconists and pub landlords). This has particularly been the case with the unseemly political wrangling over cannabis classification during the past 6 or 7 years. Despite the fact that the change itself was relatively trivial in practical terms we have now reached a stage where any crime, murder, yobbish youth, car crash, poor parenting or in fact any bad thing anyone in this country has ever done since 2004, will - if they can be shown to have used cannabis at any time in their life - be blamed on the fact cannabis was reclassified to class C. These extravagantly headlined news items are then bolstered with sound-bite analysis from a exclusive posse of on-message pundits; Prof Neil McGeggany - the academic credibility, Mary Brett - the concerned ex-teacher and prevention expert, David Davis - the critical politician, Marjorie Wallace - the mental health expert, and more recently, Debra Bell - the crusading parent. That's pretty much it. This [news item], like the various others before it, seems to be an attempt to have a go at UK drug policy and in doing so make the Government look bad. Fair enough I suppose if that's your political/editorial position, but if so then the really baffling thing about the Daily Mail's ongoing rubbish reporting and bad science in its coverage of the cannabis issue is that there's just no need for it. 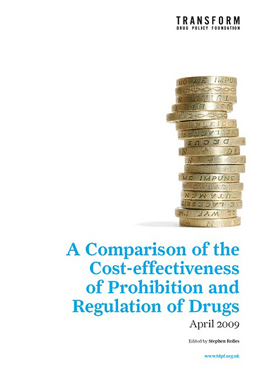 There is so much wrong with UK drug policy that they could be running all manner of withering coverage without having to misrepresent and twist statistics. The drug strategy has been a disaster on almost every indicator you could choose from, so it seems downright odd that the Mail repeatedly chooses to direct its ire at one of the very few bits of Government drug policy that the police can legitimately argue has been vaguely successful. 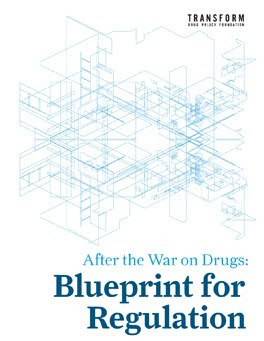 So, any Daily Mail reporters reading this, if you want some ammo against the Government drug strategy (or for that matter, Tory drug policy thinking - which is essentially IDENTICAL) then by all means plunder this blog, the Transform website, or give us a call. There's plenty to go around. Hmm, the Mail article equates any cannabis use with heavy drinking. Yorkshire clubbers have started taking ecstasy in liquid form using dental syringes. This highly dangerous practice has become known as ... "E" by gum. "Drug war scaremongering" Steve? Distortion? is the pressure getting to you? Were you paying attention at the ACMD hearing? Was "Professor Louis Appleby, National Director of Mental Health for the Department of Health"-scaremongering? Did you listen to what he said? Does he work for the Daily Mail? The more you indulge in ad hominem attacks the more you sound desperate and ridiculous. Legalisation in the UK is now a dead issue with cannabis up or down the classification system. It is over. Get on with the rest of your life, you have talent a plenty. I am old enough to advise you not to waste it. Instead of indulging in desperate sarcastic attacks why not put up your notes of what Professor Appleby told the ACMD, the inconvenient truths that you would rather the public do not know. Patient suicides - there are higher rates for those people with mental illness and a chaotic pattern of drug use, and cannabis is one of the drugs. Comment from an ACMD menber - the punishment for dealing would not change. And in reply to a question about alcohol, Louis Appleby said he could have given the same talk about alcohol - there is difficulty in disentangling ." Yes there are huge problems with cannabis and mental ilness - which Louis Appleby as a heath lead and me as a parent who sees all this agree on. But I do not agree with him - and he did say it was a fine line - that moving it to B would do anything whatsoever to help the situation. Many of the people I know who have a dual diagnosis neither know nor care what the legal status is of the drugs they take. And in any case they are subject to different "laws" under the mental health act. And of course there are those many people with mental health and drug problems in prison - increasing punishment for drug use is not going to help them. I'm talking about the Daily Mail, David , not the ACMD - so not quite sure what your getting at. I've given some examples of the Daily Mail's poor reporting, and also written about the ACMD stuff elsewhere. Linking cannabis re-classification to an increase in heroin deaths as the Mail did recently under the headline - 'the deadly downgrade' was straight scaremongering. no one - least of all me is denying cannabis harms. theres a big difference however in a sensible discussion of these and how to address them, and some of the hype and exploitation of the issue we have seen over the past few years in, but not exclusively restricted to the Mail. and if the debate is dead why are you still here having it? The only place i could be accused of ad-hom attacks is regards littlejohn, who, Im afraid, I do find utterly vile. If you want to comment defend his linked comments on murdered prostitutes feel free. browns recent proclamations on re-re-classification is nothing more than an attempt to signify the virility of his govt. One of the main reasons Brown has been pushed into this reclassification is because of Papers like the Daily Mail printing a huge number of unsubstantiated scare mongering nonsense around cannabis. It was to be expected tnat the Tories would trot out this nonsense hence IDS and the 30 times stronger or the 10,000 seeking treatement both being proved to be spurious and seriously misleading. But the worrying thing is that Labour has also been swept up in this reefer madness reporting. So we now have where we are now, a PM probably enacting a policy based on thin air and unsubstantiated nonsense and also being told that this is so by the countries leading experts. I can see how we ended up burning witches in the middle ages. "Controlled drugs" NOT "Illegal drugs". Please stop using the langusage of the newspapers man. 5th graders selling 'happy crack' at school. Cannabis making politicians go all weird. Again.